2017 - Our First Convention - Success!! 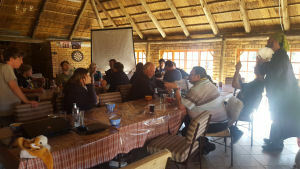 After months of planning, the 2017 convention went forward successfully :) It was held at Magalies Retreat in Magaliesburg and had 28 attendees. 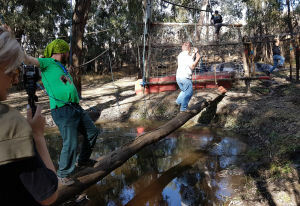 Activities included a welcoming braai and speech on the first evening, a small artists alley on Saturday followed by a scavenger hunt, obstacle course and gladiator arena, a games and social evening including cards against furmanity, Who's Hitler and a few others, followed by a movie night. On Sunday we had panels on furry literature and publishing (Erdwolf_TVL), Social Media and Furry.fm (Bravura from Switzerland, Ivic Wulfe and Scratch) and a panel on Fursuiting (Yote Fox). We also had a fursuit photoshoot, quiz afternoon and a raffle. Our raffle raised R2140, which the organizing committee matched to make R4280 to donate to The Garden Route Wolf Sanctuary in Knysna. 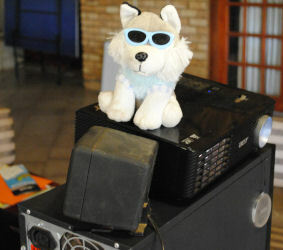 Scratch donated R2000 towards raffle prizes. Sudan Red also raised R2000 from commissions at the convention and donated R1000 to Pawsome Whacky Whiskers and R1000 to Wollies Animal Rescue. Thank you to everyone!